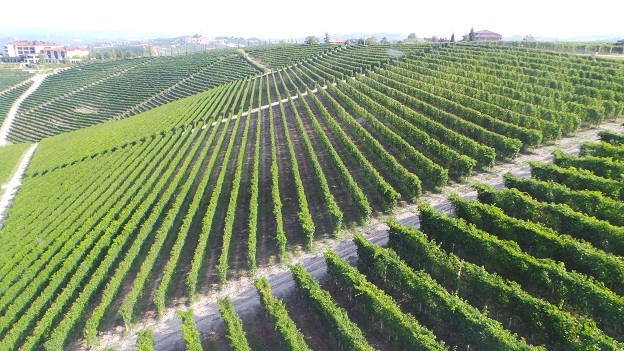 It’s always a thrill to check in on older vintages of Giacomo Conterno’s Barolo Riserva Monfortino, especially some of my personal favorites, such as the 1999, 1997 and 1996. Monfortino is a selection from within Conterno’s Francia vineyard in Serralunga that sees extended time on the skins and typically spends seven years in cask. I tasted all of these wines in Italy this past summer. Conterno’s 1990 Monfortino is aging beautifully on the strength of its sheer depth and concentration. The 1990 is rich, intense and beautifully layered in the glass, with a fabulous combination of ripeness from the warm year and classic Serralunga structure. Even today, at 24 years of age, the 1990 remains full of life. Despite the ripe year, there is little question the 1990 is stylistically very much a throwback to the great Monfortinos of the 1970s and 1980s. What a treat it is to taste the 1990 from a perfectly stored bottle. 97/Drinking window: 2014-2040. The 1996 Barolo Riserva Monfortino is a real head-turner. For whatever reason, this is one vintage I haven’t tasted all that often since it was first released. No matter, like a long-lost friend, time has only deepened my appreciation for this utterly majestic Barolo. A dark, brooding beauty, the 1996 hits the palate with an exotic array of black cherry, savory herbs, tobacco and new leather, all wrapped around a firm, tannic frame endowed with superb nobility and class. The 1996 Monfortino is one of Giovanni Conterno’s greatest wines. With air, the 1996 can be enjoyed today. I imagine it will still be spectacular at age 50. I can’t help thinking about how much the market for Monfortino has changed over the last 10-12 years. When the 1996 was released it remained available for some time. I remember buying the 1996 and 1997 together from a well-known merchant in Italy who couldn’t move the wine. Those days are, sadly, long gone. 98/Drinking window: 2014-2046. It’s so fascinating to taste the 1996 and 1997 Monfortino next to each other. This is the ying and yang of Barolo. The 1996 is virile while the 1997 is sensual. One of the most racy, opulent Monfortinos in recent memory, the 1997 is utterly exquisite from the very first taste. Crushed flowers, gentle hints of spice and sweet red berries grace the silky, perfumed finish. The 1997 has always been one of the more opulent, exotic Monfortinos ever made. All of those qualities come through tonight. 98/Drinking window: 2014-2037. 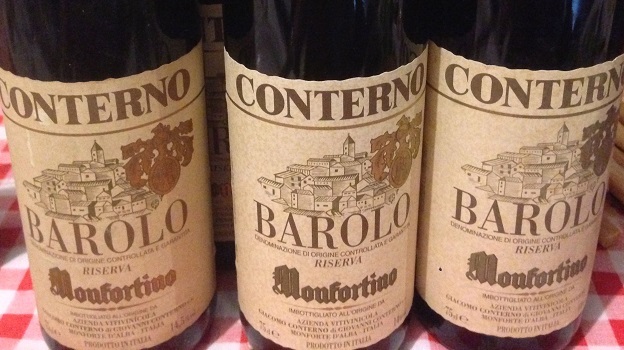 A mind-bending and mesmerizing Barolo, the 1999 Monfortino hits all the high notes. Rose petal, mint, cedar and licorice open up gradually in the glass, but what stands out most is the wine’s extraordinary finesse and pure class. The 1999 has always been magnificent, but, miraculously, it seems be getting even better. Intense and structured, the 1999 is another wine built for serious aging. Even at this early stage, though, it towers. 100/Drinking window: 2019-2049. Parallels can be drawn between the 2002 and 1996 Monfortinos. Both wines are dark, intense and brooding. Explosive aromatics and a bit more sweetness are the hallmarks of the 2002 Monfortino. Mocha, plums, sage, cloves and sweet rose petals flow through effortlessly to the textured, layered finish. An extra year in cask has given the 2002 a surprising level of softness for a young Monfortino from a cold year. There is little doubt the 2002 is ascending. Still, it is pretty special today. 98/Drinking window: 2014-2042.